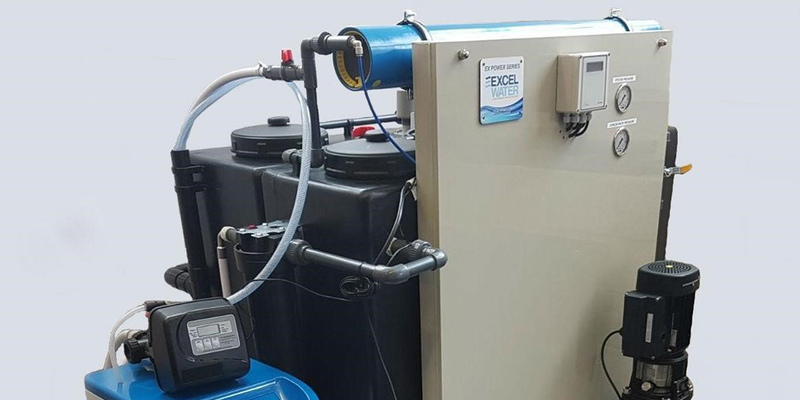 Our client the property managers for a private high end apartment building, had a water treatment plant that was no longer fit for purpose. The plant was too small to cope with the flow rates (which ultimately meant that on certain days such as bank holidays they would run out of water! ), the system was over engineered for their requirements and the manual labour involved with carrying the salt down a flight of stairs into a cellar was not only an accident waiting to happen (for the elderly gentleman who had taken it upon himself to undertake this task) but was also costly as well. They were softening the water, then putting it through an RO and a series of filtration plant, and then re-mineralising it to make it suitable for drinking. It was becoming very frustrating for the residents as the salt wouldn’t get topped up, scale would build up on the RO and cause a reduce flow, which frequently left them without water! They also had issues with the system breakdown down and replacement part were inaccessible and it took too long to get the system up and running. They were keen to come up with a solution to rectify this and so called the Excel Water design engineers in for recommendations. They removed the existing plant completely and replaced it with a Nano Filtration system fed by anti-scalent dosing. It produces potable water and keeps up with peak demands with no problems at all. The best part of all this is the elderly gentleman now no longer has to risk life and limb to ensure all residents have potable water to drink!! We were using treated water for hydro testing our valves. At the minute we have the rust inhibitor mixing directly into the main water lines and feeding a certain percentage of inhibitor in this line. Once full we had to pay someone to come on site to remove the waste. 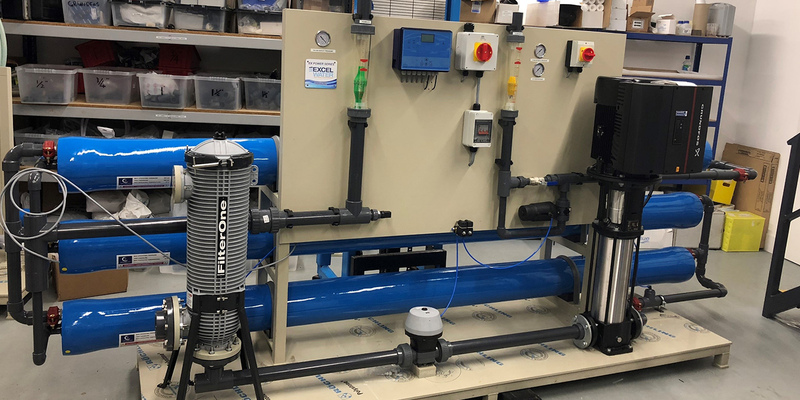 We work for a number of NHS and Private Hospitals throughout the UK, and one of our NHS clients had encountered a problem with their water supply for the boiler on site. “We are a cosmetic and toiletry manufacturer and previously used unprocessed mains water in our products. However, about a year or so ago we began manufacturing mouthwash and the quality of water required needed to be of higher standard (microbiologically) than the “tap water” we used. Due to our expanding production needs, an Excel Water Demineralization Plant was purchased at the beginning of 2012 to cover our significant increase in production output. We then went on to purchase a further EX Power at the end of 2015.